Hey everyone! My name is Sam Criscione and this year I decided to go as a demonic entity! I made all of the prosthetics myself. 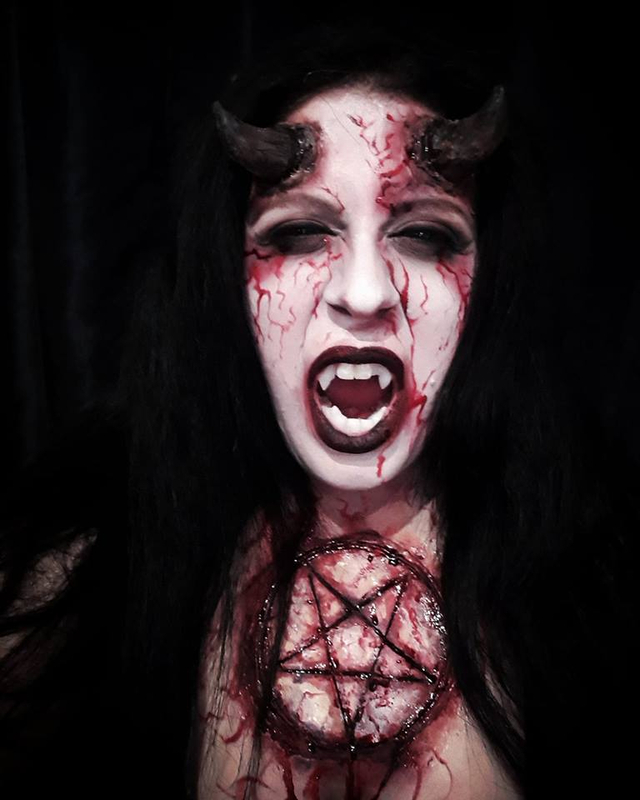 The horns and pentagram were sculpted out of Monster Clay, moulded and cast in latex and painted with pax paint, the teeth were made with Polymorph plastic and the rest of the makeup (done by me) were products from Kryolan, Mehron, and Ben Nye. The eyes were done with the Shade and Light eye shadow palette from Kat Von D. I really enjoyed doing this one! Thank you!